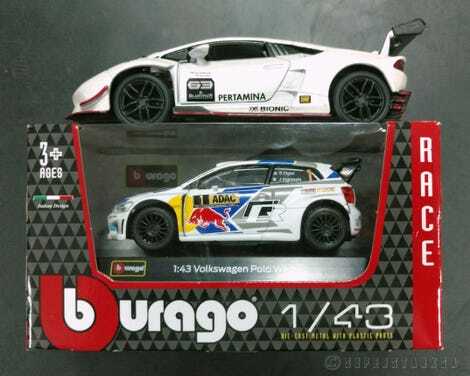 There are a few other cars from the Bburago series that I’ve seen in the wild & added to my collection in the past two years - Mclaren 12C GT3, Maserati MC12, a Porsche 911 GT3 RS in Flying Lizard livery, a Lamborghini Murcielago FIA GT. But I’d never seen this Polo before. Until last week, that is. When I realized that I had ~$10 (in Indian Rupees) stuck in one of the e-wallets that are being widely these days in India (Google ‘demonetization in India’ for kicks! ), I jumped the gun. And to get the free shipping option, threw in this Huracan Super Trofeo as well.